A WOMAN charged with murdering her newborn daughter by dumping her in a rubbish bin has given birth again — and the second baby is now missing. 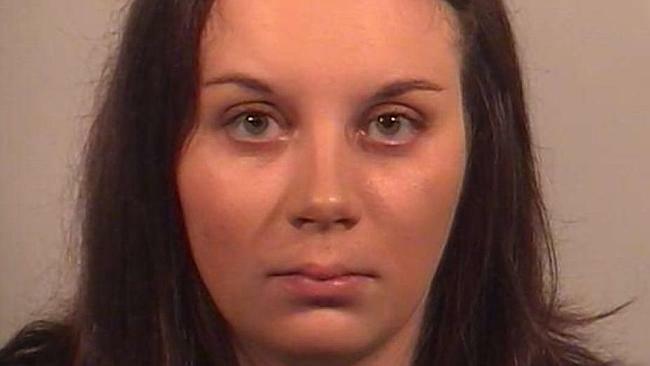 Melissa Mitin of Okemos, Michigan, faces up to life in prison for allegedly murdering her first child minutes after she was born in a friend’s bathroom on December 26, 2013. But in a stunning twist earlier this week, the 25-year-old admitted in court that she had secretly given birth last month to a baby boy who is now missing, reports the Lansing State Journal. The news came as a newborn baby boy turned up dead on Wednesday in a dumpster in nearby Roseville. Detectives are investigating a possible connection between Mitin and the baby, believed to have died aged one to three days old, according to the Detroit Free Press. Mitin earlier this week told a family court judge that she “could not recall” where her baby boy was, said Ingham County Assistant Prosecutor Debra Rousseau. Prosecutors believe Mitin became pregnant just three months after her daughter was found dead, facedown in the bin with the umbilical cord and placenta still attached. Mitin hid the latest pregnancy from police, judges and prosecutors. Even her parents, who she was living with at the time, were said to be in the dark. It’s not known who the father of the newly missing baby boy is, Mitin’s attorney said. Circuit Judge Jim Jamo revoked Mitin’s bond, and she is being held at the Ingham County Jail. She is undergoing tests to see if she is competent to stand trial.